Smyrna Chess | You are never too young, or too old, to learn chess. You are never too young, or too old, to learn chess. With all the open houses, shopping, finding just the right shoes, PTA volunteer activities, meet and greets …. REMEMBER: Sign up for chess. Many schools have an “after school ” coordinated by an outside vender and some use that vender to organize any extracurricular activities held on school properties. Some schools rely on their own staff to vet any outside venders and arrange the sign-up process. Still other schools require staff and/or parent sponsors. If your school does not have a chess program, Smyrnachess will be happy to help set up a program. Call us at 404-309-7143. 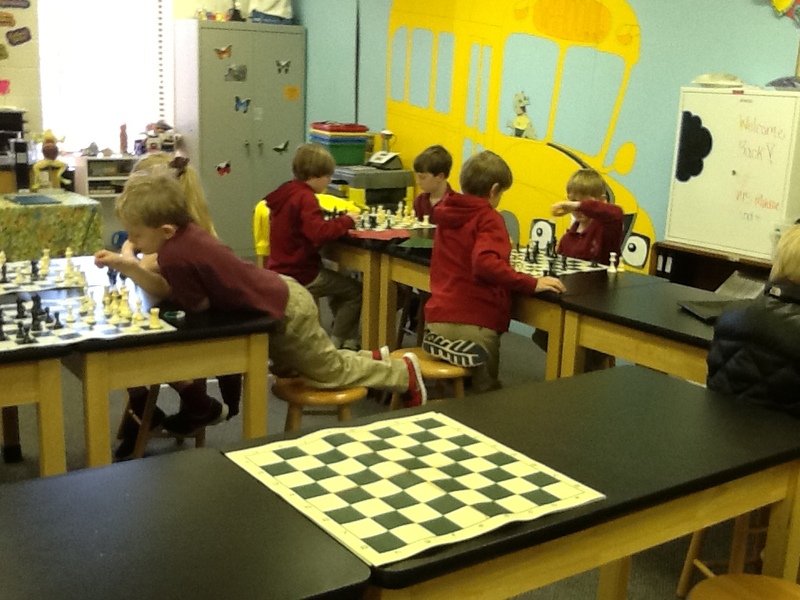 School sessions have begun and chess clubs are enrolling. We hope that you had a great holiday and are ready to start shaping your club into a winning team. If your school does not have a chess club, Smyrna Chess can help. We will be happy to work with you, your principal, and/or your PTA to help get you started. Winter and early spring is Tournament time. Competitive chess matches are often between individual students in categories based on school level or on USCF ratings. However, some tournaments are matches between school teams. The MLK tournament, and some others, offer both opportunities. We look forward to a rollicking season. Smyrnachess has once again partnered with Kidz Tennis and Bricks For Kids to offer Spring break Tri-Fun camp in north Buckhead. Come and play, learn and make some new friends. Summer and Fall have flown by! We hope you are continuing to enjoy chess. Our fall chess clubs are about to complete their sessions and we are happy to say that interest is high for the coming winter/spring season. Tri-Fun camps. Thanksgiving and Mid-winter camps will be held at the Northwest Presbyterian Church at 4300 Northside Dr. 30327. The 2014/15 chess tournament schedule is confirmed and posted at http://georgiachess.org . Fall participation in tournaments has been lively so do register early. Unfortunately the sites have to be confirmed far in advance so participant numbers are controlled by site regulations. Happy Holidays and Happy Chess! We hope your winter break was fun and you’re looking forward to an exciting time in your chess clubs. The kickoff for the tournament season is upon us. The 13th Annual MLK Tournament, rated players only, is on Monday, January 20. Registration is limited to only 500. After that the State Qualifier is Saturday, February 8 , and State Championship, invitation only, is Saturday, March 23. So, put on your thinking caps, take a deep breath, and play on. Good game! Whether you’re a future grand master or just exploring the game, thanks for checking out the Smyrnachess web site. And, you can get registration information at http://www.georgiachess.org. The summer flew by. We are meeting and greeting hundreds of potential chess students at schools all over metro Atlanta. We are looking forward to seeing you. We are looking forward to classrooms full of ardent young chess students. Time in NOW to sign up for the chess club at your school. Fall sessions are a perfect time to learn chess or improve your game. There will be many small tournament opportunities this fall before the major tournaments begin in January. COME ON! JOIN THE GAME!